We'll Always Have Casablanca is celebrated film historian Noah Isenberg's rich account of this most beloved movie's origins. 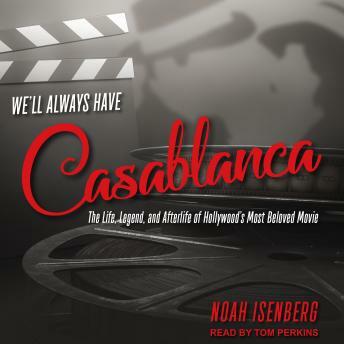 Through extensive research and interviews with filmmakers, film critics, family members of the cast and crew, and diehard fans, Isenberg reveals the myths and realities behind Casablanca's production, exploring the transformation of the unproduced stage play into the classic screenplay, the controversial casting decisions, the battles with Production Code censors, and the effect of the war's progress on the movie's reception. Finally, Isenberg turns to Casablanca's long afterlife and the reasons it remains so revered. From the Marx Brothers' 1946 spoof hit, A Night in Casablanca, to loving parodies in New Yorker cartoons, Saturday Night Live skits, and Simpsons episodes, Isenberg delves into the ways the movie has lodged itself in the American psyche.